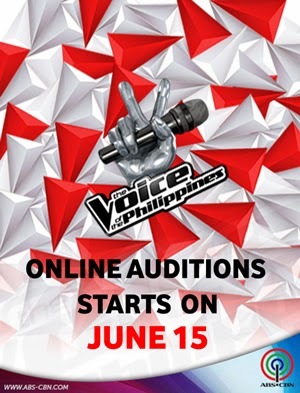 Manila, Philippines - ABS-CBN announced on Saturday, June 14, 2014 the online audition schedule for 'The Voice of the Philippines' Season 2. 'The Voice' will open its Online Auditions on June 15, 2014, Sunday. The Online Audition will only run for 7 days (until June 22, 2014.) So be ready with your audition video! Make sure to log on to the site and submit your entry as early as possible! For more updates on 'The Voice of the Philippines', Follow Us on our social media channels (Facebook and Twitter). You may also subscribe to our RSS Feeds.